All Dragons in Clash of Clans come from a mystery land of the fire and the fury. With their horrible power, they destroy all small villages without mercy… They scare nothing. They are Dragons. You can unlock the Dragons once you have Barrack level 9. The Dragons can attack both ground and air units. They do range splash damage. Dragons have no preferred target, they attack everything which is the closest to them. 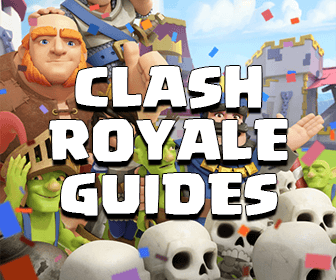 Like most other troops, Dragons can be lured by the enemy Clan troops. At Town Hall 7 and 8, Dragon attack strategies are quite over-powered. 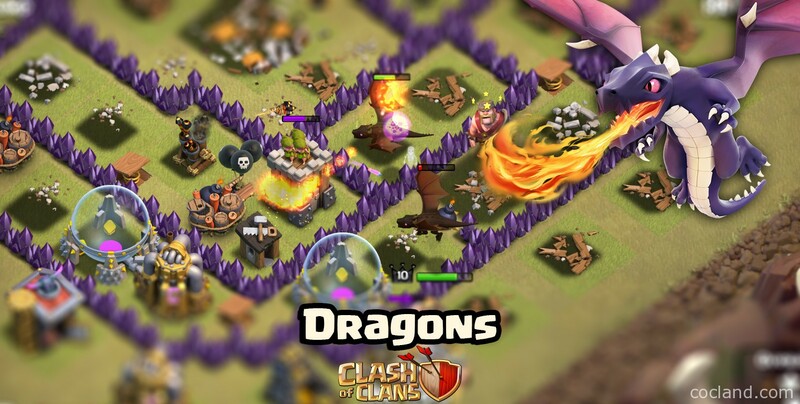 Although Dragon is quite strong at TH7 and 8 but you should remove as many Air Defenses as possible by using Lightning Spells (most popular), Balloons or Hog Riders. You can read more about this at: Lightning Spells Vs. Air Defenses. Dragon + Balloon is a perfect couple, while Dragons are destroying everything they can see, the Balloons find and destroy the Air Defenses. Dragons are also used a lot for boosting trophies. A Town Hall 8 player can always 3 stars a Town Hall 7 village with Dragons and ease. If you like Clan Wars and you are at Town Hall 7 or 8, upgrade your Air Defenses as soon as possible. 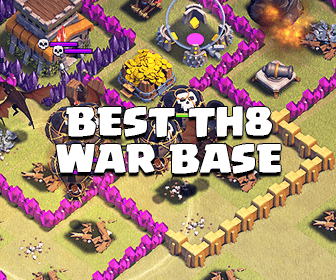 A spread out base layout works very well against Dragons, you can see some perfect ones at the Clash of Clans Base Designs section. Do you have any ideas for attacking with Dragons?